Marshall's Techno Hawks. Photo by Gabby Henriksen. 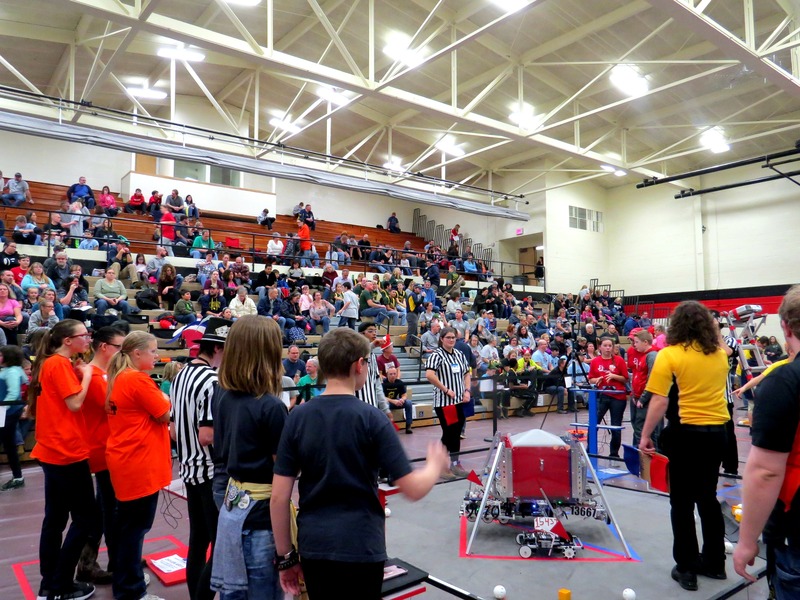 On Nov. 17, Marshall Middle School hosted and won a FIRST-sponsored robotics qualifier competition in its gymnasium. 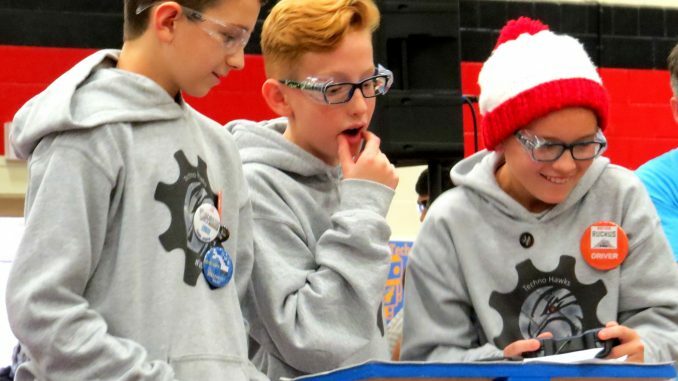 Two teams of Techno Hawks competed against 33 teams for a spot in a statewide championship event. The FIRST Tech Challenge, called Rover Ruckus, challenged teams to pick up and move blocks with their self-built bots. Teams worked in groups of two, called alliances, against another team of two in five qualifying rounds. 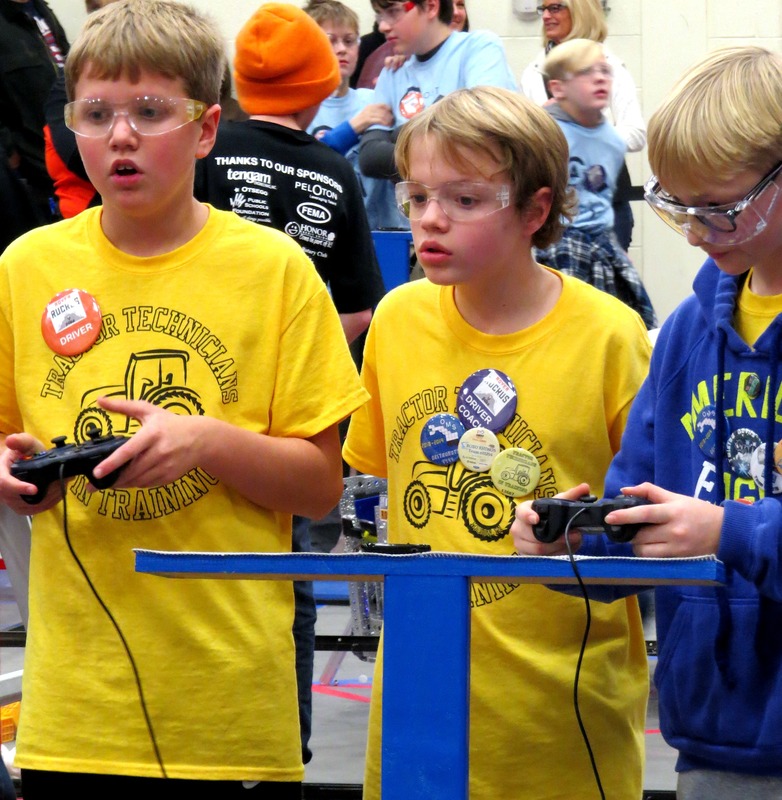 If a block was placed in a container or pushed into a designated zone by the robot, points were awarded to the team. The winning team would then compete against other winning teams. 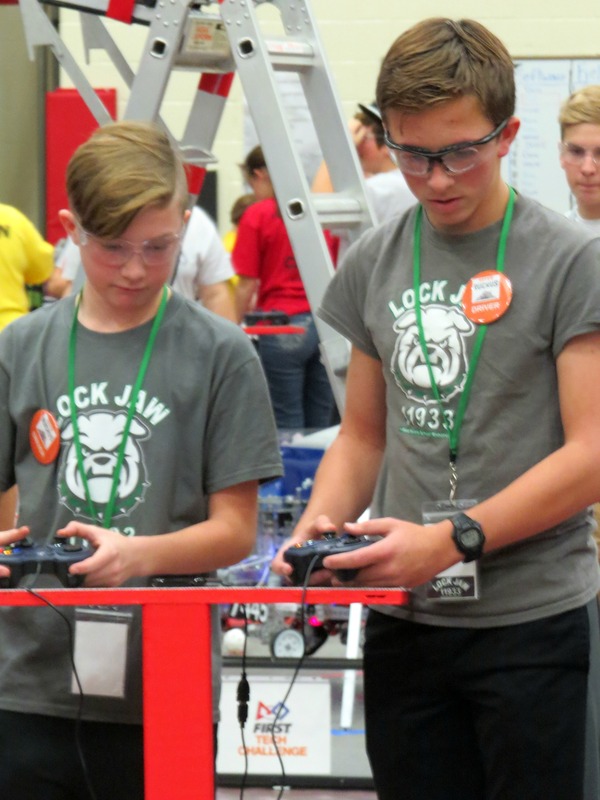 Top competitors in the qualifying matches moved on to the elimination rounds, where teams were randomly grouped in four alliances of three. Then, the alliances paired off in a semifinal, then final match to win the event. Both Techno Hawks teams won one of their five qualifying matches. Partnered with Delton Kellogg’s Team C.A.T. (3-2-0), the Red team beat the Lock Jaw of Plymouth’s West Middle School (0-5-0) and Quincy’s Batteries Not Included (2-3-0) 53-17. The Black team, partnered with the Dow & Saginaw Arts and Science Academy Dragonators (4-1-0) beat Gull Lake’s Twisted Devils Blue (1-4-0) and Nexteer & Merrill Middle School’s Cyber Knights (3-2-0). 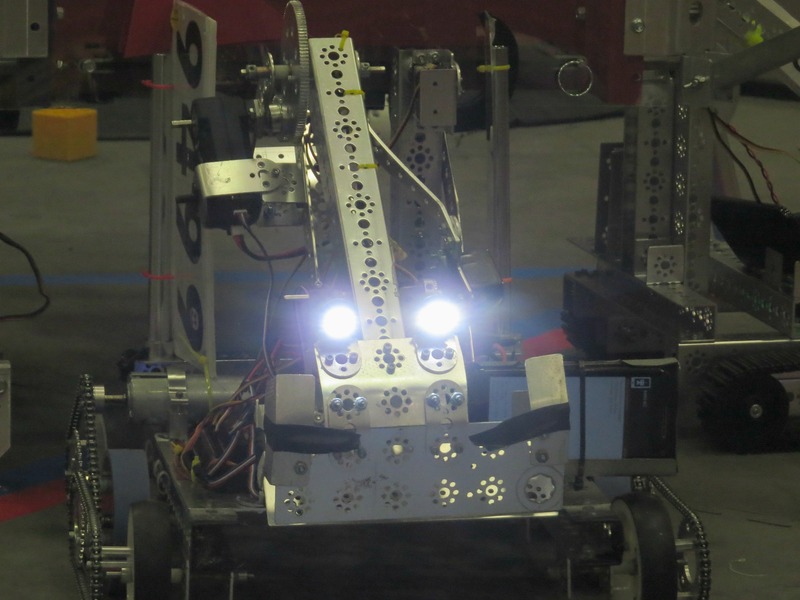 The Techno Hawks’ 30th and 31st-place finishes in the qualifying matches did not advance them to the finals. The Cyborg Cats of Oxford (4-1-0), the Robo Dawgs of Ostego (4-1-0) and the CA Frost Environmental Science Academy of Grand Rapids (4-1-0) were the winning alliance. Top teams at Marshall’s qualifier meet and other qualifier meets across Michigan will go on to compete in the statewide FIRST Championship competition, hosted in Battle Creek’s Kellogg Arena Dec. 14 and 15. The top teams of this event will advance to Worlds. The print version of this article was published before final results were posted. Some print article information was inaccurate. Corrections and additions to the original print article have been made.